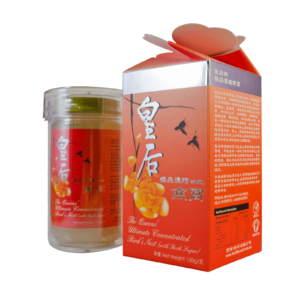 This product has been carefully developed and manufactured using the ultimate bird’s nest to obtain a rich, thick and smooth texture. 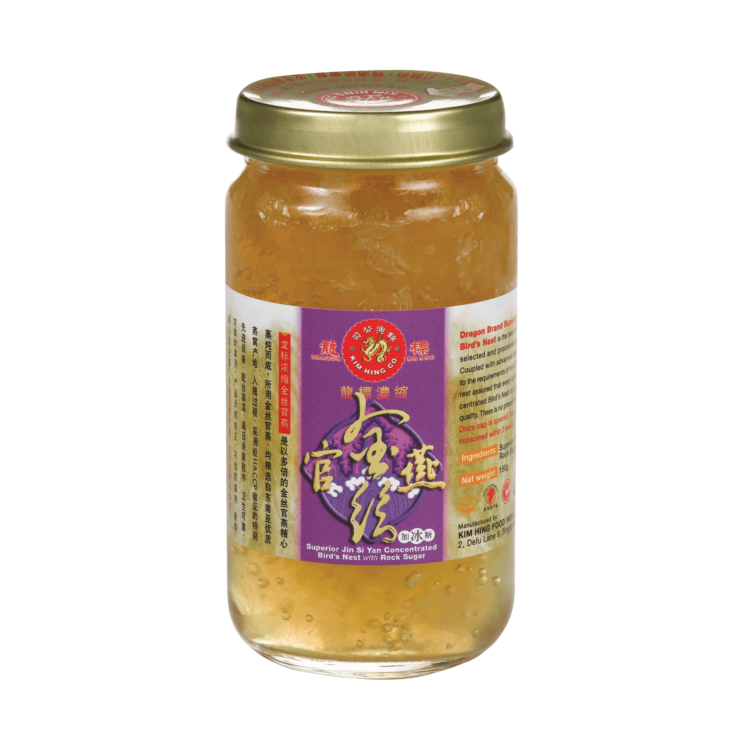 Serve cold or warm, directly from the bottle or add it to fresh milk, deserts, or salads as required. 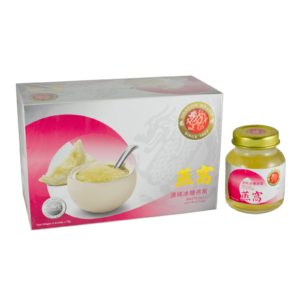 Just one soup-spoonful every night can effectively supplement a variety of daily nutrients, promote body health within various organs and tissue, and strengthen the immune system. 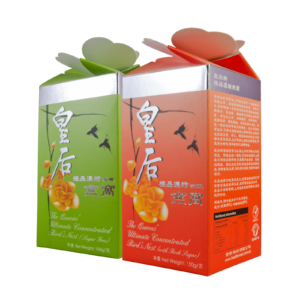 Contains cave bird’s nest (80%), and water (20%). 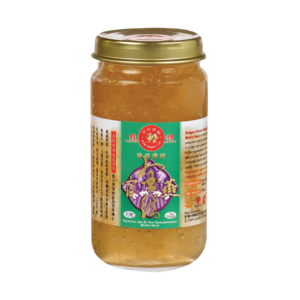 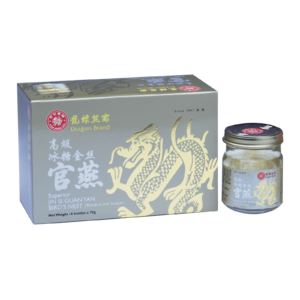 Dragon Brand Jin Si Guan Yan products are made with top quality “Jin Si” bird’s nest and refined rock sugar. 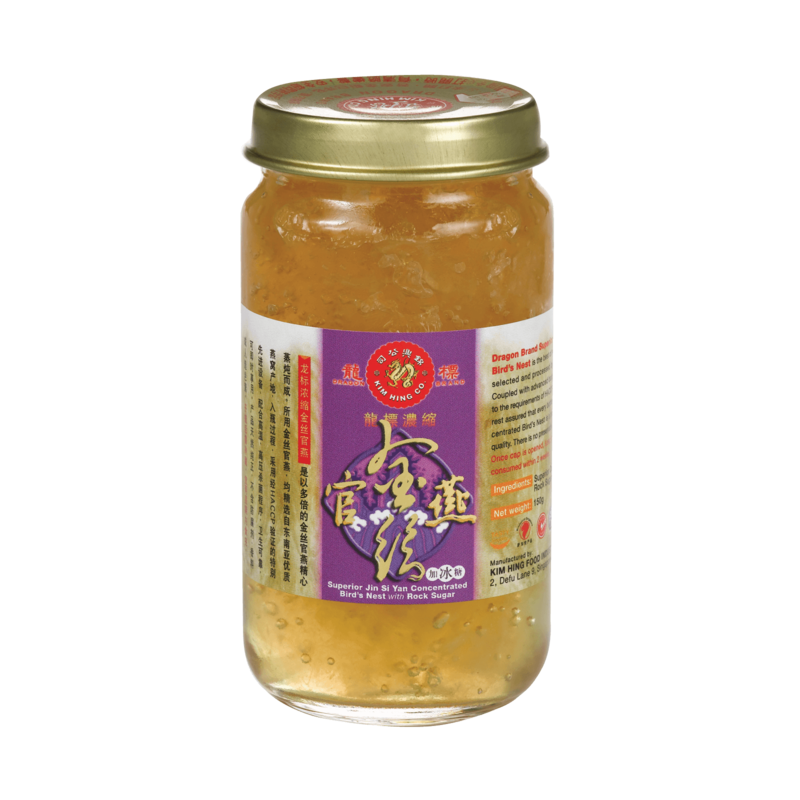 They are more supple and longer stranded compared to “cave nest” type bird’s nest bottle products. 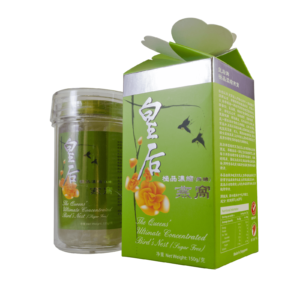 This variant combines luxurious Jin Si bird’s nest and rock sugar, in a convenient six single serve gift package. 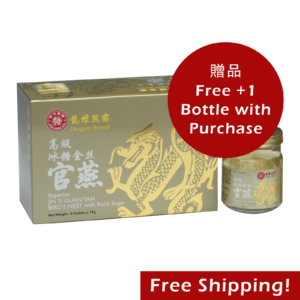 Dragonbrand Superior Jin Si Guan Yan Bird’s Nest with Reduced Sugar contains 25% less sugar compared to the standard formulation.